Notas dadas pelos hóspedes depois de sua estadia em: Apartment Bacvice. Kind hosts and great location. The property met all our expectations. Will be back definitely. 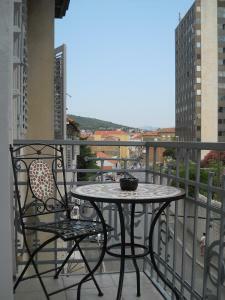 A great apartment, close to the city centre, clean and well equipped. Everything we needed! Hosts were friendly and helpful. The location of this property was great and it suited our young families needs with adequate facilities for the purpose of our trip. 1. The location is good. 2. The apartment is clean and beautifully decorated. There are everything needed. 3. The host is friendly and helpful and responds quickly. Everything was fine. A complete apartment with all the amenities to have a nice stay. 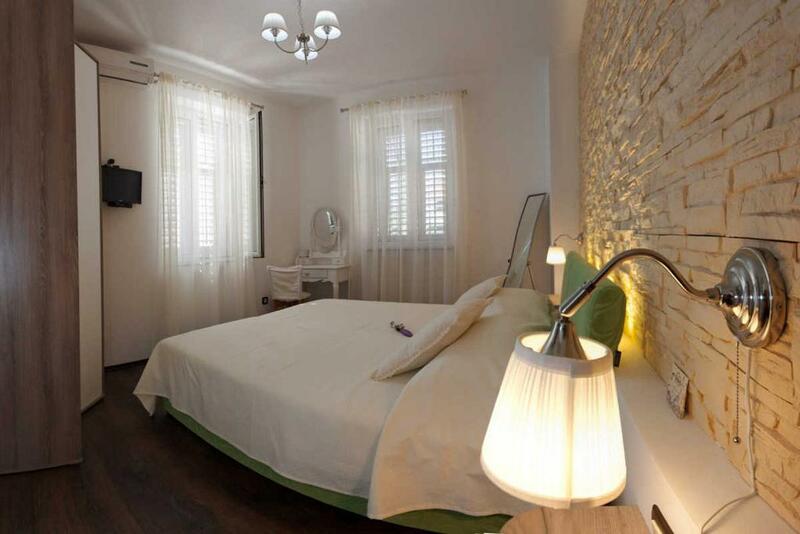 Great choice to stay in Split. All you need to have a nice visit, close to old town, very friendly owner. You can find free parking and shop very close. The apartment was just fab. It had a big bedroom, big living room, kitchen and bathroom. The decor was lovely and it was very clean. It does have a balcony but it looks on to a very busy street - still it was nice to sit out there in the evening. 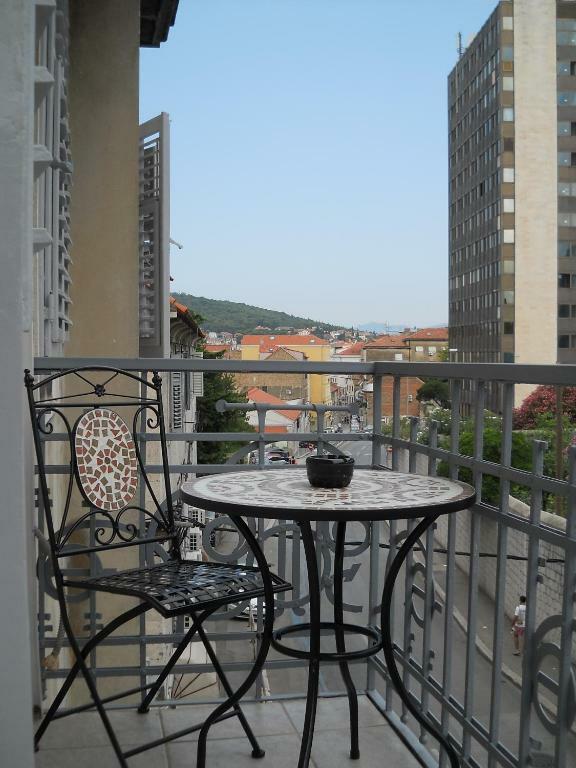 The location of the apartment is excellent - turn left at front door and in five minutes you are at the beginning of the old town or turn right and in 8 minutes you are at the beach. Nearest supermarket is 3 minutes away and there are lots of restaurants nearby. Tanja keeps in touch with whatsapp so if there is anything you need she is only a text away. The kitchen was stocked with goodies which was a lovely idea. Claudia met us on arrival and carried our bags upstairs and again on departure took us to the bus station. 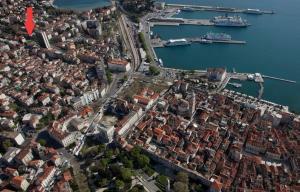 Our hosts, Tanja and Claudio, are very nice and helped us to make our experience in Split a fantastic one. 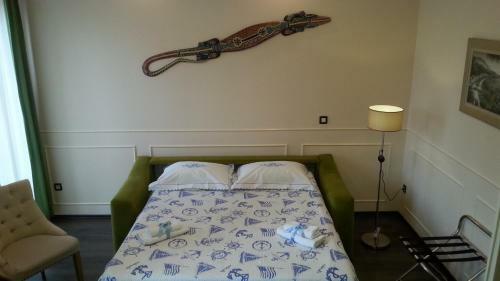 The flat was wonderful (decoration, equipment...) and very close to the historical center and the ferry (perfect for the visit of islands). 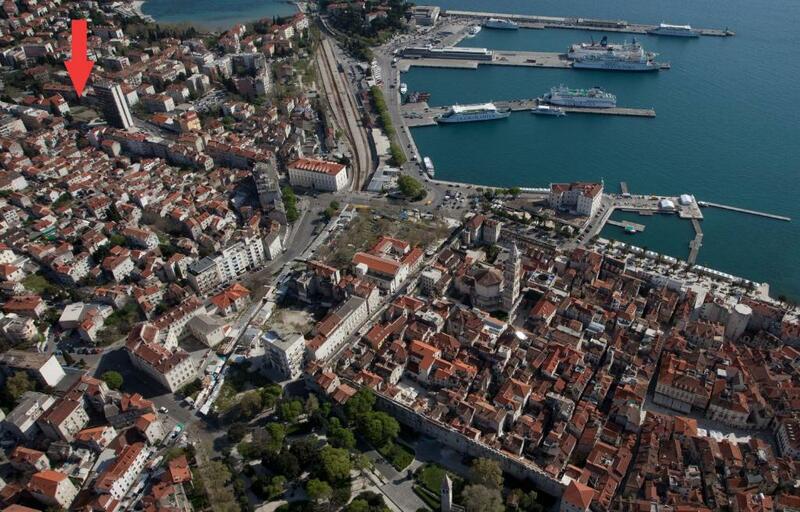 We had no difficulties to access the beaches, ferry and the night fever of Split on the Riva. Very good Holidays! Brilliant stay with an excellent host. Amazing position between the old town and the beach. Modern, tasteful apartment. Highly recommended. Garanta um preço incrível para Apartment Bacvice - avaliado como nota 9,7 pelos hóspedes recentes. Situado em Split, na região do Condado de Split-Dalmácia, o Apartment Bacvice é uma propriedade 3 estrelas com Wi-Fi gratuito. A propriedade tem vista para a cidade e fica a menos de 1 km do Palácio de Diocleciano e a 3,6 km da Praia Znjan. 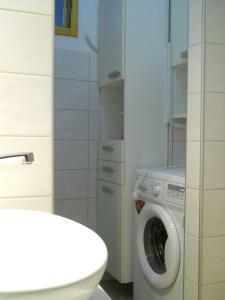 O apartamento inclui 1 quarto e cozinha com forno e cafeteira. O apartamento com ar-condicionado também dispõe de uma área de estar, máquina de lavar roupa e 1 banheiro com amenidades de banho de cortesia. 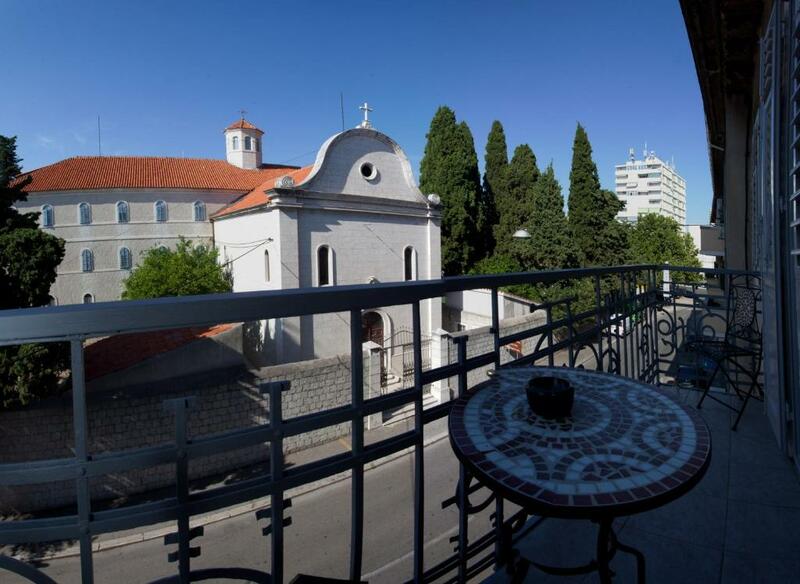 Pontos de interesse famosos perto do apartamento incluem a Praia Bacvice, o Museu da Cidade de Split e a Catedral de St. Domnius. O aeroporto mais próximo é o Aeroporto de Split, a 24 km da propriedade. 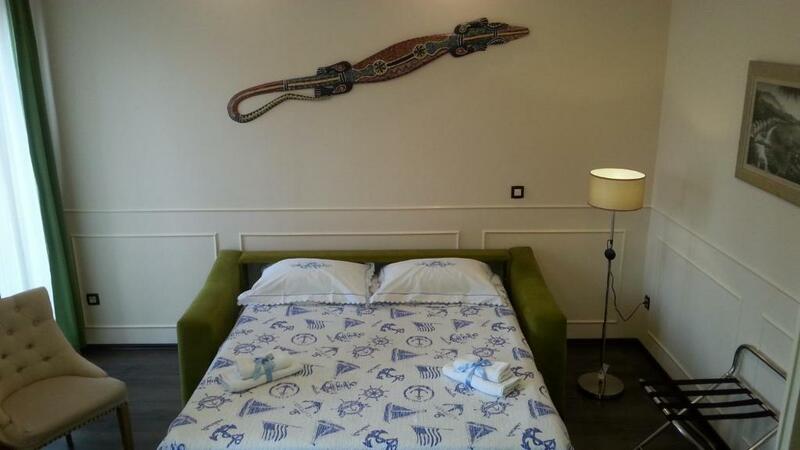 Apartment Bacvice tem recebido hóspedes da Booking.com desde 23 de nov. de 2015. Quando você quer se hospedar no(a) Apartment Bacvice? Este apartamento conta com torradeira, ar-condicionado e fogão. 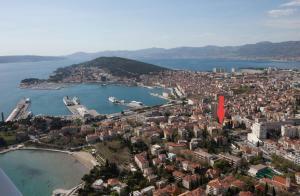 Novo renoviran apartman u zgradi iz doba sesije koja se nalazi pod zastitiom grada Splita.Vrlo je osvjetljen i odise ugodnom atmosferom.Second floor.Posjeduje kupaonicu i WC,hodnik,spavacu sobu,dnevni boravak i balkon.Kupaonica sadrzi kadu s kabinom,masinu za pranje rublja ( upotreba GRATIS ),susilo za kosu.U kuhinji imamo sve potrebne elemente kao sto su pecnica,toster,mikrovalna. U spavacoj sobi su dva kreveta za jednu osobu koji se mogu spojiti u udoban bracni krevet,klimu, TV SAT, peglu, garderobni ormar, i sef.U dnevnom boravku ima SMART LED TV SAT, klima, sofa s pravim lezajem za spavanje za dvije osobe i komoda.S balkona se pruza otvoren pogled na grad.WiFi je dostupan u cijelom stanu -GRATIS. 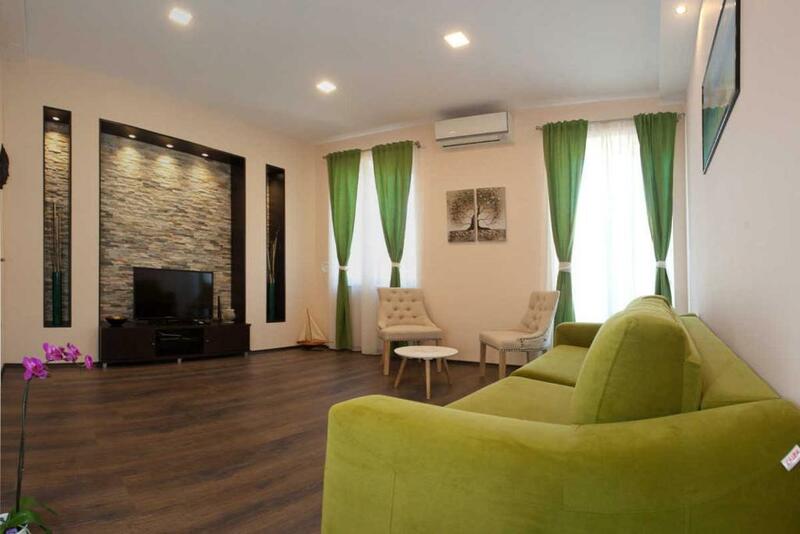 Apartman se nalazi u lijepoj gradskoj cetvrti nasuprot Crkve i samostana Sv.Klare .Samo 3 min.hoda je najpoznatija gradska pjescana plaza Bacvice koja je poznata i po nocnom zivotu , Dioklecijanova palaca(UNESCO monument), Riva i zelena trznica Pazar su samo par minuta hoda..U blizini su mnogi restorani s tradicionalnom i modernom kuhinjom. Na samo nekoliko metara udaljenosti se nalazi luka,autobusni i zeljeznicki kolodvor.Iz luke svaki dan idu brodovi prema poznatim otocima Korcula,Hvar, Brac i Solta.Za obitelji s djecom u blizini su dva parka za djecu s ogradjenim prostorom. Bom saber Apartment Bacvice aceita pedidos especiais - adicione no próximo passo! Por favor, informe Apartment Bacvice com antecedência sobre seu horário previsto de chegada. Para tanto, você pode utilizar o campo de Pedidos Especiais ao fazer a reserva ou entrar em contato diretamente com a propriedade usando os dados informados na sua confirmação de reserva. Apartamento excelente. Remodelado e decorado com bom gosto. Muito perto do centro. Impecavelmente limpo. O Cláudio recebeu-nos com muita amabilidade e, apesar de não haver estacionamento próprio, guardou um lugar de estacionamento em frente ao apartamento. Recomendo esta estadia. 5*! A amabilidade de Tanja e Claudio é excepcional! São óptimos anfitriões. Ajudaram-nos com dicas sobre a cidade e disponibilizaram-se para levar-nos, no último dia, ao aeroporto. Sem dúvida, o melhor de Split.